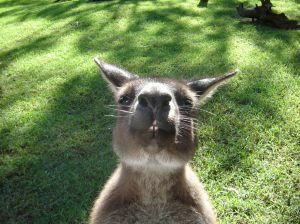 Sydney Wildlife Park is a small zoo featuring Australian wildlife in indoor and outdoor displays. 11 natural animal environments have been recreated and there is an emphasis on letting visitors get as close as possible to the animals. Among the displays is the Koala Encounter, a rooftop area with a restaurant and enclosed area with koalas. There is also the large Kangaroo Walk-About, wombats, Tasmanian Devils, Pademelons, Possums, Dunnarts, Bettongs and Echidnas. Among the feathered residents are parrots, finches, whistling ducks, cockatoos and curlews. There is a bug section with Australian spiders, wild bees, bats, giant cockroaches and Bull Ants. The reptiles include snakes, lizards, turtles and there are crocodiles, Cassowaries, butterflies, frogs and fish. At the Sydney Wildlife Zoo you can meet a huge 5 meter long crocodile and also enter a "nighttime" habitat to see how nocturnal animals behave. What really sets this attraction apart is the abundance of free keeper talks, animal encounters and feeding times throughout the day. The talks are every half hour and there are also shows like the Wildlife Show about koalas or kangaroos. Another special experience is the Kuala Breakfast which includes a morning guided tour of the zoo, a hot buffet breakfast and a meeting with the koalas. Attraction is fully stroller accessible. There are no storage spaces for strollers or large bags. There is a family room with changing facilities mid-way through the zoo grounds. Daily 09:00-17:00 and open until 20:00 October 6th to March 27th. Single visit walk-up prices: Adult AU$38; child (4-14yrs) AU$24; family of 4 AU$120; family ticket additional child AU$22. Single visit online prices: Adult AU$26; child AU$16; family of 4 AU$65; additional child on family ticket AU$12. Under 3s enter for free. Located next to SEALIFE Sydney Aquarium on Darling Harbor. Walk: 10 minutes from George Street down Market Street or King Street. Light Rail: Convention or Pyrmont Bay Station. Train: Short walk from Town Hall Station. Bus: Sydney Explorer Bus, stop #24. 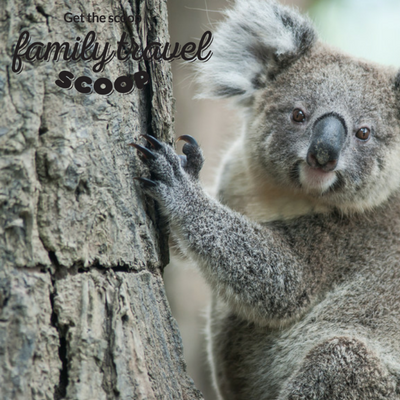 Consider buying the Combo ticket from the Wildlife Zoo website, for AU$65 for adults and AU$36 for kids you get entry to 5 top family attractions in Sydney within 30 days. Also check-out the Merlin Annual Pass. Families of 4 visiting after 4pm Monday to Friday pay AU$65.